I was 140kg when I started and having lost 45kg I am now 94.8kg, I have lost 13% of my bodyfat, equating to nearly 38kg of fat (I cannot believe I could have carried that around all day everyday). Despite the loss of fat my water percentage has increased and the number of litres I have in my body has also gone up, giving me more energy. Craig was not that interested in my BMI as he was more interested in my fat loss from the start, however my BMI has dropped a staggering 18pts! My legs are 13cm thinner, my arms 9.5cm thinner, my waist nearly 35cm (14 inches) thinner, whilst my hips are 40cm (16 inches) thinner. 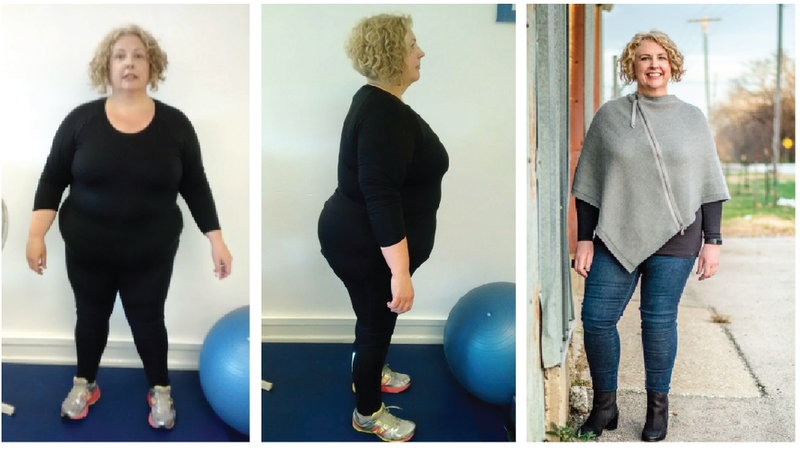 HOW LONG DID IT TAKE TO SEE RESULTS: I did yo-yo quite a lot in the early days as I wasn't really in the frame of mind to lose weight for good. That changed in 2017 when I finally committed to following a strict diet and training three times a week with Craig. I then lost six stone in eight months. Nothing serious. Been a member of a gym most of my life but never exercised consistently and never did weight training. I enjoyed the programmes that Craig put together for me as they involved lifting weights that I would never have had the confidence or ability to lift on my own at a gym. I had a lot of weight to lose and training has helped me to tone up and change shape drastically. Craig has always encouraged me and gone the extra mile - even checking up on my progress when he is on holiday. I feel like a completely different person and have even started running (sometimes even with Craig's dog, Roxy!). Note that individual results will vary and there are no guarantees . Our goal is to give you the motivation and education to help kick start your journey to the life you want, but the effort you put in is what will make or break your success levels. While we have proven our methods work by the genuine achievements of our clients, this does not mean you will get the same results. There are those who will not make any changes to there health, because it all depends on your determination, hard work and ability to follow directions. As a fitness coach, the understanding needs to be in place that you will take full responsibility for your actions and results. This site is not a part of the Facebook™ Website or Facebook™ Inc. Additionally, this site is NOT endorsed by Facebook™ in any way. FACEBOOK is a trademark of Facebook Inc.